Klabater and Punch Punk Games have announced that Apocalipsis: Harry at the End of the World will release on Nintendo Switch. Unsurprisingly you play as Harry in this traditional point-and-click adventure game, who, after the loss of his beloved, chooses to adventure into strange, unwelcoming lands to get her back. He will meet fantastical creatures and ultimately conquer his own personal demons, in a story about heartbreak, redemption and, quite literally, the end of the world. 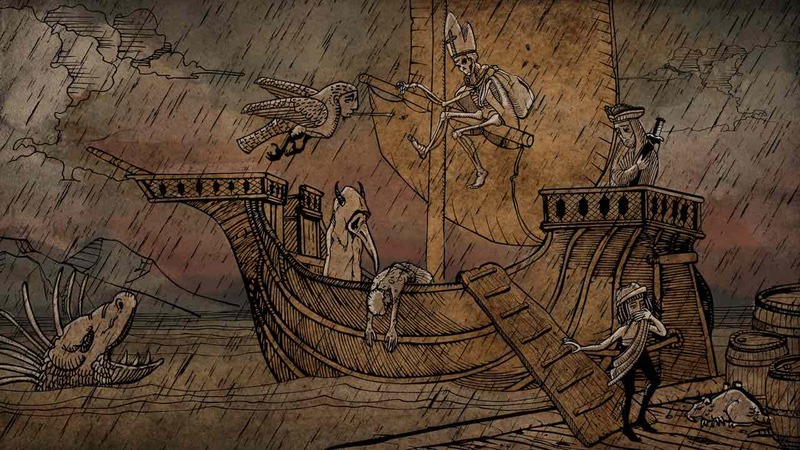 The game’s art style takes inspiration from 15th-century engravings, whereas the world draws on the Book of Revelation and steeped in medieval philosophy and beliefs. Apocalipsis: Harry at the End of the World will release on the Nintendo eShop for Nintendo Switch worldwide.